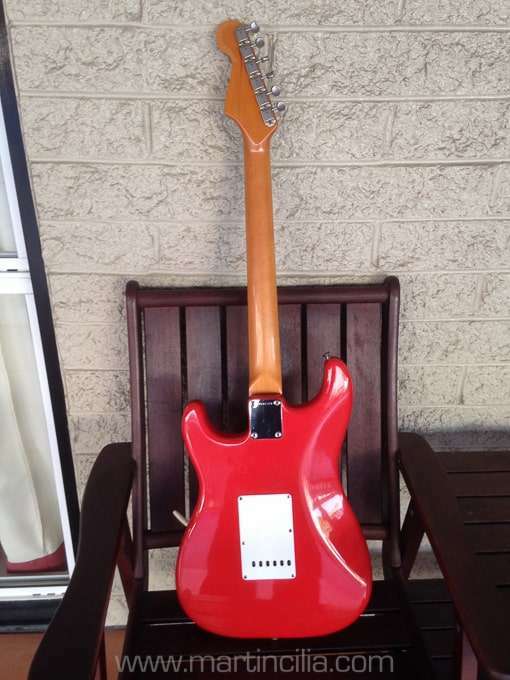 I loved it straight away but as I was just starting out in a new band I had no cash flow but didn’t want to miss out on this guitar as I knew it was special so we organized a loan and I was to pay it off over a couple of years. As it turned out the new band started making money and I paid the loan in just a few months. This was the first reissue guitar that I’d seen and I ended buying some more reissues in the 80s but sold them as they weren’t as good as this one. 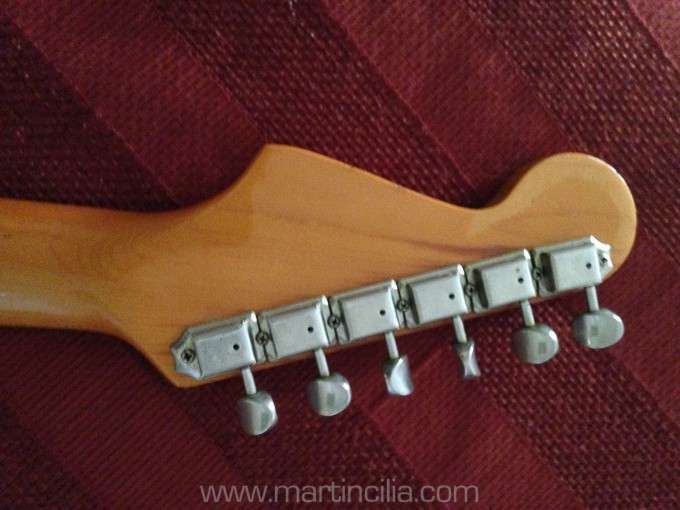 Some time in the mid 80s I changed the pickups to EMG SA and the bridge saddles as one of the original pickups stopped working and the saddles were corroding due to all the hot sweaty gigs I was playing at the time. I still have the original parts and will probably put it back to original at some stage. I didn’t play it very much in the 90s and 2000s. 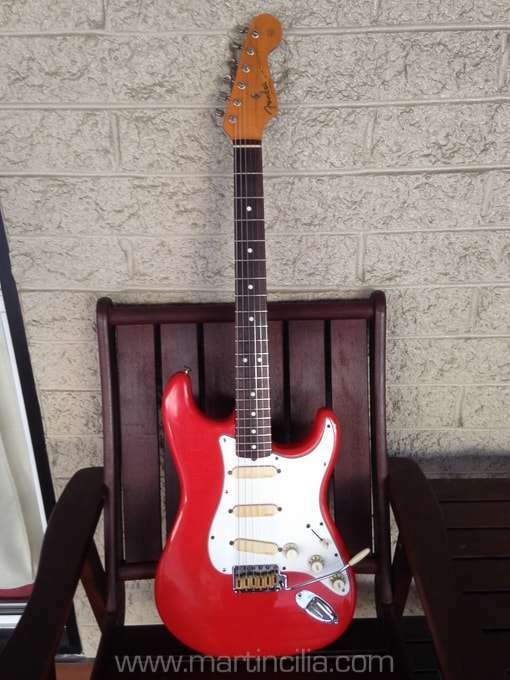 When I started playing with “Mental As Anything” in January 2013 I was looking for a Stratocaster that would be suitable and chose this one as the EMG pickups would be more consistent with different amplifiers that we sometimes have to use as when we fly to gigs we don’t usually take our own amps and have to use hire amps which can be inconsistent and sometimes the original Fender pickups can sound a little thin if the amp is not working 100%. Wow very nice. Hope to catch a show where you are using it. Would be good to hear it. 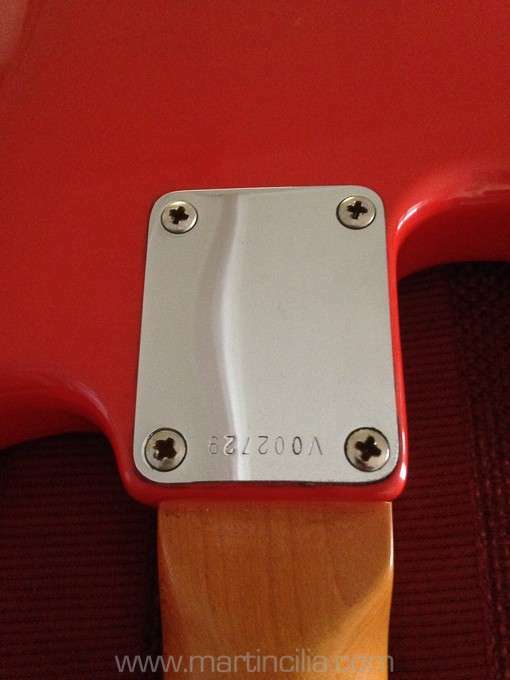 I have a Fender Custom Shop 60’s reissue Stratocaster, very similar to your’s (cosmetically) that you used with The Atlantics. Yes I did notice the p/ups sounded “thin” when playing thru different amps (I thought it was just me being old hee hee). Hi Stu, Some of those 60s reissues can sound great, good luck with your playing. 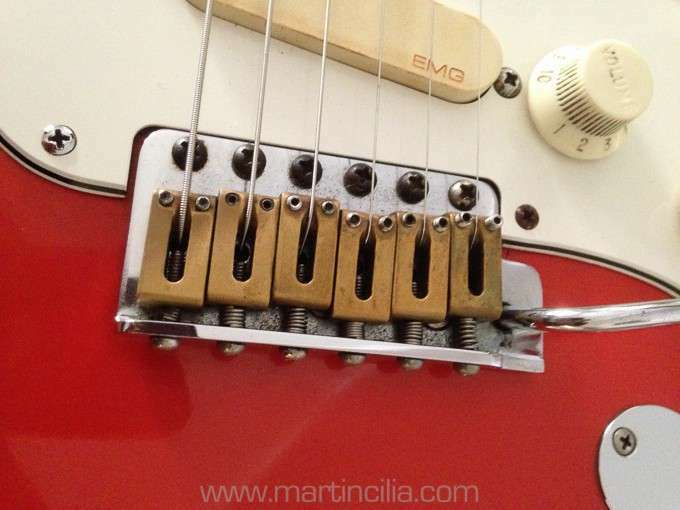 Hi, nice strat. I’m about to take the EMG humbuckers out of my Explorer(they were in the gt when I got it). I’m putting in SM P-Rails so I can coil tap AND have P90s. I’ve got the new p-ups and have to decide on switching : push-pull or toggles? First it’s getting an OTT paint job, maybe blue and ivory metalflake flames! This Explorer is a total road warrior and has had a life, so I have no problem modding it into the guitar I want it to be. It’s another ‘project’ so I’ll put pics up as and when. 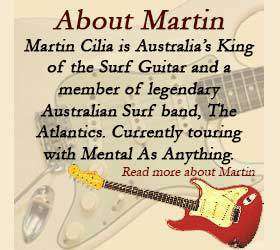 Cheers Martin!